This trendy, macho ring’s got diamond shine. 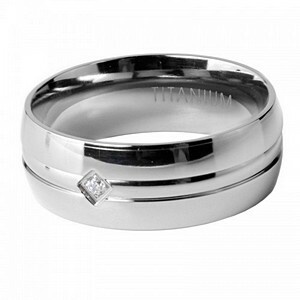 Created in uber-shiny Titanium, with diamond-shaped Cubic Zirconium. Titanium stamp.